In the 19th century Sintra became the first centre of European Romantic architecture. Ferdinand II turned a ruined monastery into a castle where this new sensitivity was displayed in the use of Gothic, Egyptian, Moorish and Renaissance elements and in the creation of a park blending local and exotic species of trees. Other fine dwellings, built along the same lines in the surrounding serra , created a unique combination of parks and gardens which influenced the development of landscape architecture throughout Europe. Sintra devint, au XIXe siècle, le premier haut lieu de l'architecture romantique européenne. Ferdinand II y transforma les ruines d'un monastère en château où la nouvelle sensibilité s'exprima par l'utilisation d'éléments gothiques, égyptiens, maures et de la Renaissance, et par la création d'un parc mêlant essences locales et exotiques. D'autres résidences de prestige bâties sur le même modèle dans la serra alentour firent de ce site un ensemble unique de parcs et de jardins qui influença l'aménagement des paysages en Europe. أصبحت سينترا في القرن التاسع عشر المحجة الأولى للهندسة المعمارية الرومنطيقية الأوروبية. وقد حوّل فردينان الثاني آثار أحد أديرتها الى قصر يتجلى فيه الحس المرهف الجديد في استعمال العناصر القوطية والمصرية والمورية وتلك الخاصة بعصر النهضة وفي إنشاء منتزه يحوي مزيجاً من الورود العطرية المحلية والغريبة. كما تم تشييد منازل أخرى رفيعة المستوى على النسق نفسه في الجبال المحيطة حوّلت هذا الموقع الى مجموعة فريدة من المنتزهات والحدائق التي أثرت في تصميم المناظر الطبيعية في أوروبا. В XIX в. Синтра стала первым центром европейского романтизма. Фердинанд I превратил разрушенный монастырь в замок, где это новое направление проявились в использовании элементов готики, египетского, мавританского стилей и Возрождения, а также в создании парка, сочетавшего местные и экзотические виды деревьев. Другие прекрасные здания, построенные в том же духе на прилегающих горных склонах, дополнили этот уникальный комплекс парков и садов, повлиявший на ландшафтную архитектуру всей Европы. En el siglo XIX Cintra se convirtió en el primer centro importante de la arquitectura romántica europea. El rey Fernando II transformó en palacio un monasterio ruinoso, recurriendo a la utilización de elementos arquitectónicos góticos, egipcios, moriscos y renacentistas que expresaban la nueva sensibilidad estética de la época, y creó un parque en el que se mezclaban las especies vegetales locales con las exóticas. La construcción de otras residencias señoriales en la sierra circundante, inspiradas en este modelo, dotó a Cintra de un conjunto único de parques y jardines que ejerció una gran influencia en el arte paisajístico europeo. Het cultuurlandschap van de 'Serra' en de stad Sintra vertegenwoordigen een baanbrekende manier van het creëren van een Romantisch landschap. Hierdoor werd Sintra het eerste middelpunt van Europese Romantische landschapsarchitectuur in de 19e eeuw. Ferdinand II bouwde een vervallen klooster om tot een kasteel waar deze nieuwe gevoeligheid werd weergegeven in gotische, Egyptische, Moorse en Renaissance elementen en in het creëren van een park met een mengeling van lokale en exotische boomsoorten. Andere mooie woningen – gebouwd langs dezelfde lijnen van de omliggende Serra – schiepen een unieke combinatie van parken en tuinen die de landschapsarchitectuur in heel Europa hebben beïnvloed. The Cultural Landscape of Sintra is located in Portugal’s central region, at the extreme west of the Iberian Peninsula and a few kilometres away from the Atlantic Ocean. This Cultural Landscape is an exceptional mixture of natural and cultural sites within a distinct framework. Seen from a distance, it gives the impression of an essentially natural landscape that is distinct from its surroundings: a small chain of forested granite mountains rising over the hilly rural landscape. When seen from closer at hand, the Serra reveals a surprisingly rich cultural evidence spanning over several centuries of Portugal's history. Around 1840, Ferdinand II turned a ruined monastery into a castle in which Gothic, Egyptian, Moorish and Renaissance elements were displayed. He surrounded the palace with a vast Romantic park, unparalleled elsewhere planted with rare and exotic trees, decorated with fountains, watercourses and series of ponds, cottages, chapels and mock ruins, and traversed by magical paths. He also restored the forests of the Serra, where thousands of trees were planted to supplement the oaks and umbrella pines which made a perfect contribution to the romantic character of the Cultural Landscape of Sintra. The Royal Palace is undoubtedly the dominant architectural feature of Sintra, situated in the town centre. Probably constructed on the site of the Moorish alcazar of Sintra, the palace’s buildings date from the early 15th and early 16th centuries. One of the most important features of the Palace is the facing with tiles (azulejos), the finest example of this Mudéjar technique on the lberian Peninsula. The interior contains painted and tiled decoration and other features characteristic of the Mudéjar and late Gothic Manueline styles. The Pena Palace, high on a peak in the Serra, is a work of pure Romanticism, designed by the Portuguese architect Possidónio da Silva. Ferdinand II conversion of the medieval monastery, which was abandoned after the 1755 earthquake reduced it to ruins, is eclectic in its use of Egyptian, Moorish, Gothic and Renaissance elements to produce an ensemble that is a pure expression of the Romantic Movement. Within the 19th century Palace are the church, cloister, and refectory of the 16th century monastery, richly decorated with azulejos. The Palace of Monserrate was designed for Sir Francis Cook by the distinguished British architect James Knowles Junior. Again, it is an example of mid-19th century eclecticism, adapted to the remains of the earlier building, also ruined in the 1755 earthquake. lt combines neo-Gothicism with substantial elements derived from the architecture of lndia. Monserrate is renowned for its gardens, largely the work of Thomas Gargill: careful analysis of the microclimatic zones of the land made it possible to plant over 3000 exotic species, collected from all parts of the world. The earliest structure on the site of Quinta da Penha Verde was built by the 16th century Portuguese captain and viceroy João de Castro and enlarged by his heirs and successors. The ensemble is somewhat austere but has a harmony of its own, with a series of chapels dating from the 16th-18th centuries. The Palace of Ribafrias, with its chapel, is in the centre of the town and was built in 1514 by the Royal Great Chamberlain, Gaspar Gonçalves. lts original rather severe lines have been softened by subsequent alterations, such as the insertion of Manueline and Pombaline windows into the facade. The Moorish Castle, high on a peak of the Serra, might be of Visigothic origin; it was certainly used in the 9th century, during the Moorish occupation. lt was finally abandoned with the successful Reconquista of Portugal from the Moors. Now in ruins, the remains of its barbican, keep and walls vividly illustrate the problems of constructing a fortress on a rocky outcrop of this kind. Other buildings in this group are the Palace of Seteais (late 18th/early 19th century), the Quinta de Regaleira (late 17th century), and the Town Hall (early 20th century). The Trinity Convent of the Arrabalde was founded by a group of monks from the Trinity Convent in Lisbon in 1374 in a quiet valley of the Serra. Their primitive hermitage was replaced by the first monastery in 1400 and reconstructed a century later. Following severe damage in the 1755 earthquake, much of it had to be rebuilt. The present small cloister dates from 1570 and the church largely from the late 18th century. lt has retained the tranquillity that attracted the first monastic community to this site. The Church of Santa Maria, with its three naves, represents the transition between Romanesque and Gothic of the mid-12th century. The facade and tower are from 1757. Other churches in the town are the Sao Martinho and Sao Miguel parish churches (mainly post-1755), the former Sao Pedro de Canaferrim parish church inside the Moorish castle (12th century) and the Church of Nossa Senhora da Misericórdia (17th-18th centuries). Work on the Parque de Pena was begun by Ferdinand II around 1840. Many species were brought from North America, Asia and New Zealand. The whole park covers 210 ha, including the Tapada do Mocho and the Moorish castle and is enclosed by a stone wall. The higher ground is covered with oak, cypress, and pine woodland, but nearer the castle there are more classical gardens, with parterres and some remarkable specimens of Taxus baccata and Sequoia sempervirens. Among the most notable features of these gardens are the Garden of the Camellias and the "English Garden" with its unique specimens of cycas, and the Garden of the Feitoria da Condessa with its remarkable dendrological variety. The Parque de Monserrate covers 50 ha on the northern slopes of the Serra. William Beckford's remodelling of the existing palace in the late 18th century involved the creation of a landscape garden. When he took over, Sir Francis Cook employed James Burt to design various sites for exotic gardens. The planned gardens are surrounded by a semi-natural oak forest. Other prestigious homes were built along the same lines in the surrounding Serra de Sintra (also known as Monte da Lua, the Mountain of the Moon). Major landmarks such as the Pena Castle, the Moorish Castle, the Church of São Pedro, Penha Verde, the Cruz Alta, and Palace of Seteais interact with one another and with the landscape; they have been restored earlier and have an authentic raison d’être with surprising views which differ from every angle. Even though magnificent royal residences in the Romantic style are often to be found in 19th and 20th century Europe, Sintra is a pioneer work of European romanticism, bringing together its incredible botanical richness and a diversity of monuments and buildings from a long period of history. Sintra became the first centre of European Romantic architecture. This cultural landscape is an extraordinary and unique complex of parks, gardens, palaces, country houses, monasteries and castles, which create an architecture that harmonizes with the exotic and overgrown vegetation, creating micro-landscapes of exotic and luxuriant beauty, such as Mexican cypress, Australian acacias and eucalyptus as well as pine trees. This amalgamation of exotic styles changes the landscape into an abundant world which offers surprises at every turn in the path, leading the visitor from a discovery to another. Its uniqueness and botanical richness presented to the visitor with great accuracy, and its charming environment make it unique among landscapes. This syncretism between nature and ancient monuments, villas and quintas with monasteries and chalets influenced the development of landscape architecture throughout Europe. The World Heritage property has 946 ha and is surrounded by a buffer zone of 3,641 ha. Criterion (ii): In the 19th century, Sintra became the first centre of European Romantic architecture where this new sensitivity was displayed in the use of Gothic, Egyptian, Moorish and Renaissance elements and in the creation of parks, blending local and exotic species of trees. Ferdinand II (1836-1885) thereby developed romanticism in a splendid form that was unique in the Mediterranean region. Criterion (iv): The landscape is a unique example of European Romanticism with the cultural occupation of the northern slope of the Serra that has maintained its essential integrity as the representation of diverse successive cultures, as well as the associated flora and fauna. The romantic atmosphere, strengthened over time, and the reminders of the Victorian period as well as the exotic allusions are still potent and can be easily recognized throughout the landscape. The villas and quintas with their gardens and parks that cover the major area of the property correspond to a clearly defined landscape designed and created intentionally by people through landscape design. Criterion (v): The cultural landscape, with its local and exotic vegetation - such as Mexican cypress, Australian acacias and eucalyptus, and pine trees -, its crests and piles of granite rocks covering the archaeological remains, palaces and parks, as well as the historic centre of Sintra and other fine dwellings, built along the same lines in the surrounding Serra, forms a continuing and organically evolved landscape, which has been sustained by painstaking restoration and preservation projects. This unique combination of parks and gardens turned the landscape into an abundant world, which offers surprises at every turn in the paths, leading the visitor from a discovery to another, and influenced the development of landscape architecture throughout Europe. The state of conservation of historic buildings that are open to the public is excellent thanks to the appropriate maintenance and rehabilitation actions they have undergone, and the architectural surveys that have been conducted. In cultural terms, the uniqueness of Sintra resides in the fact that, even though magnificent royal residences in the Romantic style are often to be found in 19th and 20th century Europe, the property is a pioneer work of European romanticism, bringing together its botanical richness and a diversity of monuments and buildings from a long time span in history. Within the boundaries of the 946 ha property are located all the elements necessary to express the Outstanding Universal Value of the Cultural Landscape of Sintra. Despite the transformations the landscape of Sintra went through in the 20th century, most of its buildings have preserved their structural authenticity, and so have its gardens and parks. Adaptation to modern times has not jeopardized the authenticity of the cultural landscape. The original design can still be traced in the most important parks such as Pena and Monserrate and in some of the small gardens included in this ensemble. The major landmarks such as the Palace of Pena, the Moorish Castle, the Palace of Sintra, the church of São Pedro, Penha Verde, the Cruz Alta, the Estate of Regaleira and the Palace of Seteais, that interact with one another and with the landscape, have been restored and retain their authenticity. Likewise, agricultural buildings that have preserved their activity show a satisfactory condition, as the small changes they went through are insignificant, not jeopardizing the authenticity of the whole group of buildings. The romantic atmosphere, strengthened over time, and the reminders of the Victorian period, as well as the exotic references, are still strong and can be easily recognized in the landscape. The Cultural Landscape of Sintra is part of the National Natural Park of Sintra - Cascais and has been protected by national legislation since 1994. Within its perimeter, there are numerous buildings classified as National Monuments - the highest level of legal protection - or Buildings with Public Interest, all of which are protected by specific Portuguese legislation introduced by the Ministry of Culture. 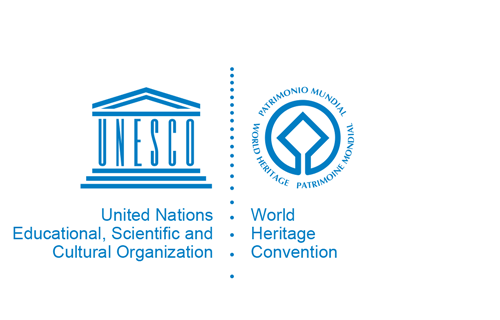 The whole World Heritage property is classified as a National Monument as well. Parques de Sintra Monte da Lua S.A (PSML) is the manager responsible for the World Heritage property and parts of the buffer zone. It represents a number of stakeholders such as the Directorate General for Cultural Heritage, Portugal’s Public Tourism Agency, the Municipality of Sintra and the Institute for the Conservation of Nature. Its technical experts are responsible for heritage rehabilitation. In the past 5 years, this consortium created new cultural facilities such as the Museum of Science, and rehabilitated more than 100 buildings in the Historic Centre of Sintra. Its latest restoration works took place in the Monserrate Palace and the Chalet da Condessa d’Edla. Professionally qualified staff ensures the preservation of existing species. Forest areas are cleaned every year in order to prevent fire during the hot season. PSML is in charge of the periodical control and cleaning of the forest, wall reconstruction, fire monitoring, enhancement of gardens and parks and promotional activities for local populations. The consortium promotes educational activities and registers an increase in the number of visitors, income and risk control, and minimizes negative impacts from urban speculation.